For the second year running, Toronto has attracted the most new international retailers out of any North American city. According to a new CBRE report, Toronto welcomed 40 new international retailers in 2017, the most on record for the city, and more than double New York City’s 15 debuts. Toronto is the only North American location to make the list of top 20 target markets for new entrants, moving up two places from 2016 to seventh. Overall, Canada added a record 50 new international retail entrants last year. “International retailers are increasingly recognizing Toronto as a global gateway city. The cosmopolitan nature of the city and the large, diverse population that resides in the Greater Toronto Area are attractive for international retailers as they expand globally. International retailers are no longer separating U.S. and Canada – they now are including Toronto as an integral part of their Eastern seaboard expansion plans,” said Arlin Markowitz, Urban Retail Team at CBRE Toronto. Yorkdale Shopping Centre welcomed 14 of the 40 new retailers, 86% of which chose the mall as their first Canadian home. An increasing number of international luxury brands are looking at Yorkdale as the top destination for entering the Canadian market thanks to its reputation as one of Canada’s premier shopping malls. Some of these brands include IWC Schaffhausen, Officine Panerai, Vacheron Constantin, Van Cleef & Arpels and Breitling. 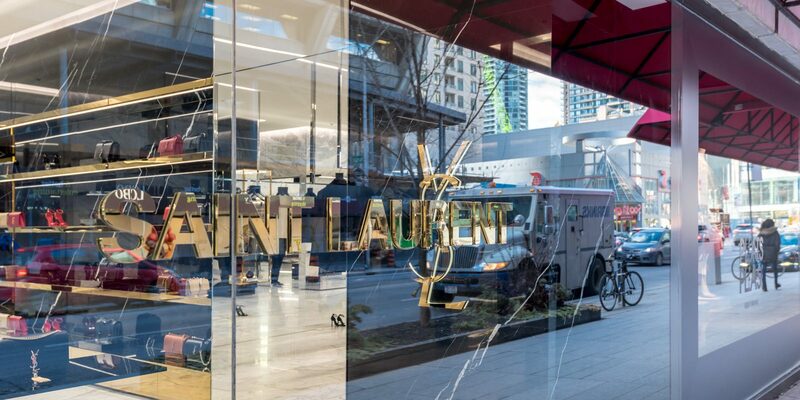 Of the retailers that made their first foray into Toronto last year, luxury led the pack and accounted for over a third of new entrants (14). The majority of which hail from Europe, including Rolex, APM Monaco and Zadig & Voltaire. The restaurants & coffee category followed with 17% of new entrants (7), and mid-range fashion and eyewear with 7% each (3 each). Over a third of the new international retailers in the city come from the U.S. (15), including the Cheesecake Factory, SoulCycle and Restoration Hardware.